If you are afraid to quit drinking, you might want to look into the specific reason you feel this way. I say this because sometimes those reasons are a mirage. Sometimes what you WANT to do can seem harder that it actually is because you’re AFRAID to try. For example, you might want a raise, but you’re afraid of talking to your boss for fear that your job will be in jeopardy. Or, you WANT to ask someone out on a date, but you’re afraid of being rejected. 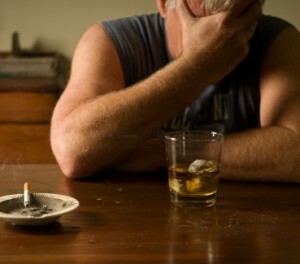 When it comes to drinking alcohol, the FEAR of quitting is often a roadblock that prevents many people from even trying. Let’s take a more in-depth look at these reasons, and a better way to approach each one of them. Many people actually try to secretly quit drinking, as they’d rather others not know if they’ve failed. However, this mindset can actually have the reverse effect, as you are planning on failing. The remedy to this fear is to proclaim to others your intention of getting sober. This will serve to reinforce your own resolve to make a positive change in your life. This fear is usually expressed along the lines of “what if I quit drinking and in the future I’m at a wedding where everyone is raising a glass of champagne as a toast to the couple?” The problem with falling into this “fake fear” is that you might be confusing living a sober lifestyle with a momentary gesture of goodwill. Sipping a glass of champagne at a wedding does NOT mean that you will helplessly fall back into a drunken lifestyle. Remember, alcohol is powerless before you, NOT vice-versa.